News, China Medical University, Taiwan. Taiwan’s food testing technology had made a breakthrough! The team of CMU professor Chow-Feng Chiang’s research “Establishment of high performance liquid chromatography (HPLC) and QuEchERS methods for rapid determination of 15 + 1 EU priority polycyclic aromatic hydrocarbons (PAHs) in foodstuffs”, met the world testing standard and was honored the “2018 Future Technology Award” by the Ministry of Science and Technology. The award ceremony will be held on December 13th in Taipei World Trade Center. 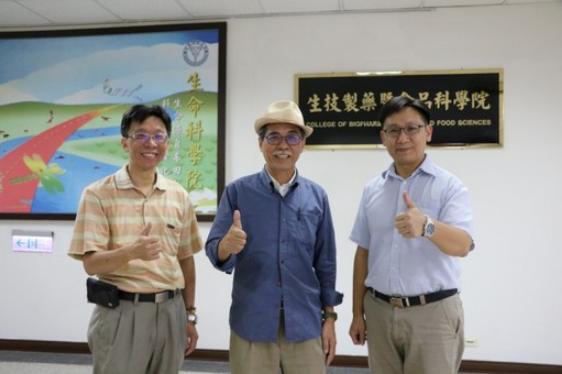 The research team includes professor Chow-Feng Chiang, professor Deng-Jye Yang, and professor Kuo-Chiang Hsu. They developed a method of high performance liquid chromatography (HPLC) coupled with fluorescent detector and ultraviolet detector to determine 15 + 1 EU priority PAHs simultaneously within 18 minutes (cyclopenta[c,d]pyrene (CPP) has no fluorescence characteristics). This is by far the fastest traditional method for the PAHs analysis in the world. This method can be used to detect the PAHs in both daily life and healthcare organization. The risk assessment accuracy in food will be improved by this method, less operation cost is required, and the effectiveness has reached world standard.